In looking at Matthew’s introduction to Jesus we focused on the story of Joseph, and it only makes sense to cover Mary’s story with Luke’s Gospel. Luke gives us the grand narrative of the birth of Jesus, beginning with the drama surrounding his aunt, uncle and cousin, and then his own parents traveling to Bethlehem in that iconic journey which comes to rest under the star. He has angels galore, shepherds and an all-booked-booked-up inn. We have women breaking out into song and a guy with temporary muteness. Luke really delivers. 34 Then said Mary unto the angel, “How shall this be, seeing I know not a man?” 35 And the angel answered and said unto her, “The Holy Ghost shall come upon thee, and the power of the Highest shall overshadow thee: therefore also that holy thing which shall be born of thee shall be called the Son of God. 36 And, behold, thy cousin Elisabeth, she hath also conceived a son in her old age: and this is the sixth month with her, who was called barren. 37 For with God nothing shall be impossible.” 38 And Mary said, “Behold the handmaid of the Lord; be it unto me according to thy word.” And the angel departed from her. It was interesting to look into newer translations and see verse 38 expressed in different ways. Many simply had Mary say something like “I am the Lord’s servant” or a variant thereof, and some at least allow her to say, “Here I am…” In the Greek she says idou, which is “see me, perceive me.” She really does say behold! I think that Mary was often presented to me as someone who acquiesced to God’s will… but this is not acquiescence, this is proclamation! She turns the table on the angel and says, “Ok Gabriel, now you pay attention and see that I am God’s gal!” She’s not giving in, she’s buying in. Mary is sounding very prophetic here. This part of her story reminds me of Isaiah’s moment of identifying himself in God’s plans, “Also I heard the voice of the Lord, saying, Whom shall I send, and who will go for us? Then said I, Here am I; send me.” Isaiah 6:8, KJV. This Is A Powerful Woman. Why does it matter that Mary said behold? It matters because she is on the cusp of major life joys and changes, and God arrives to announce the impossible, the unlooked for and the unimaginable… and she buys in. She has her moment of how can this be?, and then she squares her shoulders, takes a deep breath, and gives herself to God’s insane sounding plan. This young woman hands it all to God and allows herself to be caught up in something she does not control, accepting all the repercussions to come. We think of Christ being incarnated in the Advent story, but this is an moment of faith being incarnated, strength incarnated and courage incarnated. You Are a Powerful Woman (or Guy). The story of Mary matters because it is our story as well. I want to be like Mary. I want to hear God’s crazy sounding will for peace and good news, grace and reconciliation, and believe it! I want to see a place for me in that plan, and I want to buy in like Mary. I want faith to be advented in me, incarnated in my own behold! 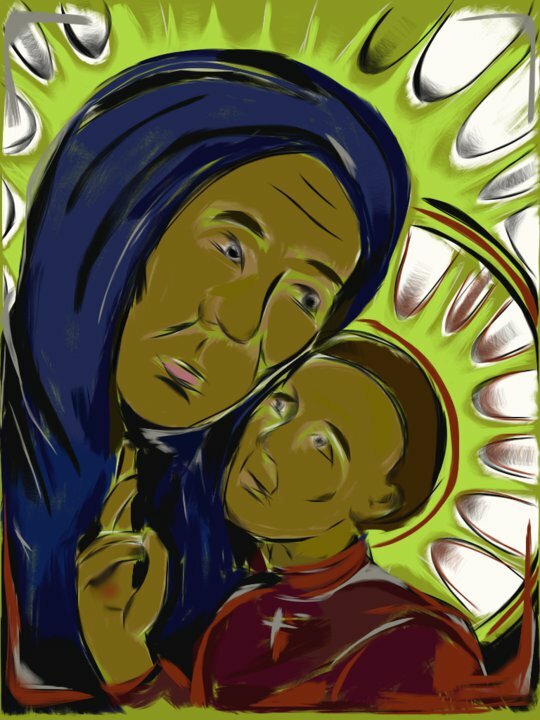 If we were all Mary in our own communities, Mary in our schools, Mary in our homes… if God’s insane grace, love and forgiveness were allowed to interrupt our daily plans and advent something new… if only. How many cycles of abuse would be stopped? How many cycles of insult and hurt would end? How many hearts would be reconciled in God’s peace? What do I miss when I insist on the plans I have made? Let’s go advent some faith. And if we don’t have the words at a given moment, keep believing and the words will come. Yes, Mary was blessed among women, and she is also a prophet and a inspiration for us all. 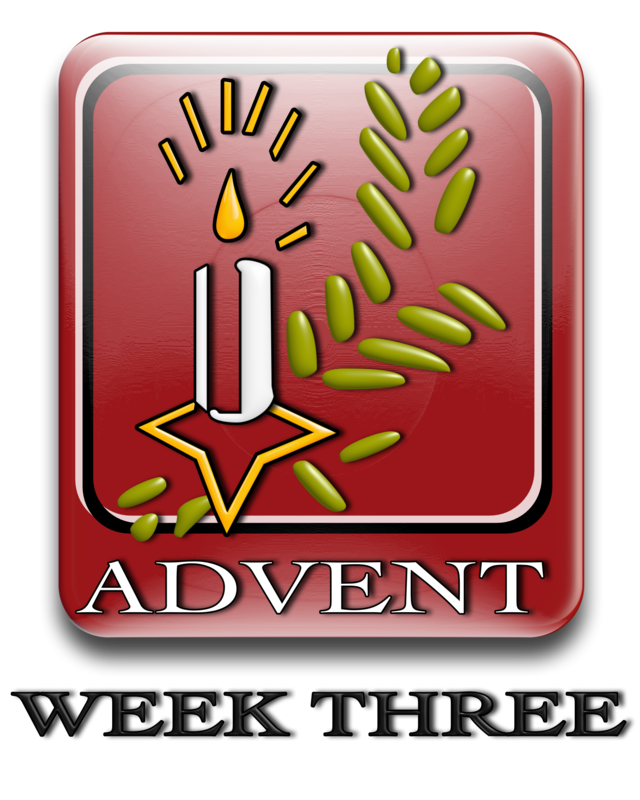 This entry was posted in Advent, Devotional Thoughts, Sermon Notes and tagged Advent Week Three, Behold, Courage, faith, Mary, strength.